The XVS-7000 multi-format video switcher delivers massive benefits in terms of flexibility and operability for mid-range productions, giving you the ability to realise a powerful mixed environment with SDI and IP. Utilising the flexible ICP-X7000 X-Panel assignable modular design, you can configure the control panel to suit your specific operations. The XVS-7000 features 6 M/E, 112 inputs, 48 assignable outputs and format convertor outputs, plus up to 24 keyers in HD. According to your production environment and workflow requirements, the XVS-7000 is upgradable to 4K production switcher with powerful 4K features, as well as IP and SDI mixed production capabilities. 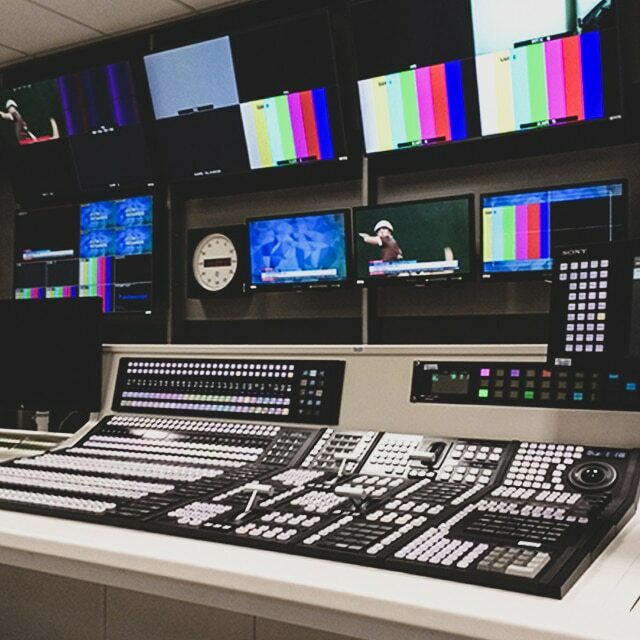 The core of the new generation IP Live production system supports not only Network Media Interface (NMI) but also the SMPTE ST 2110 Professional Media Over Managed IP Networks suite of standards, enabling a mixed IP and SDI production environment. The XVS-9000 supports 12G-SDI interfaces functioning on-board format conversion for every incoming and outgoing video signal to offer greater options for applications such as in-house studios, OB vehicles and flypacks. The newly developed 4K DME board offers up to 2 channels of floating 4K 3D DME capability for the XVS-8000. This 4K DME board can also be configured with the XVS-9000 switcher (up to 4 Ch), XVS-8000 switcher (up to 2 Ch), and the XVS-6000 switcher (1 Ch). The XVS-7000 utilises the ICP-X7000 X-Panel for very flexible panel configuration with a modular style design, OLED display, RGB XPT buttons and LCD button pad. The button layout is also re-designed. The X-Panel has a flexible mounting style for flat or curved mounting, or even for splitting into two positions. The XVS-7000 supports the Networked Media Interface (NMI), developed by Sony and some of the world’s leading broadcast industry organisations. NMI combines the latest IP network technologies with a current SDI standard interface to support any resolution of video transmission. The XVS-7000 also supports two key industry standards – SMPTE ST 2110 Media Transport and AMWA NMOS Device Discovery – with the new 100G based IP interface boards. While conventional systems require multiple different types of cables to carry various signal types (video, audio, reference, metadata and control data), NMI and SMPTE ST 2110 require only a single standard network cable passing through conventional network switches. New 12G-SDI input and output boards further expand the line-up of XVS interface options. The 12G-SDI interface boards have on-board input or output format converter, and any input or output signal can be converted to an appropriate video signal. 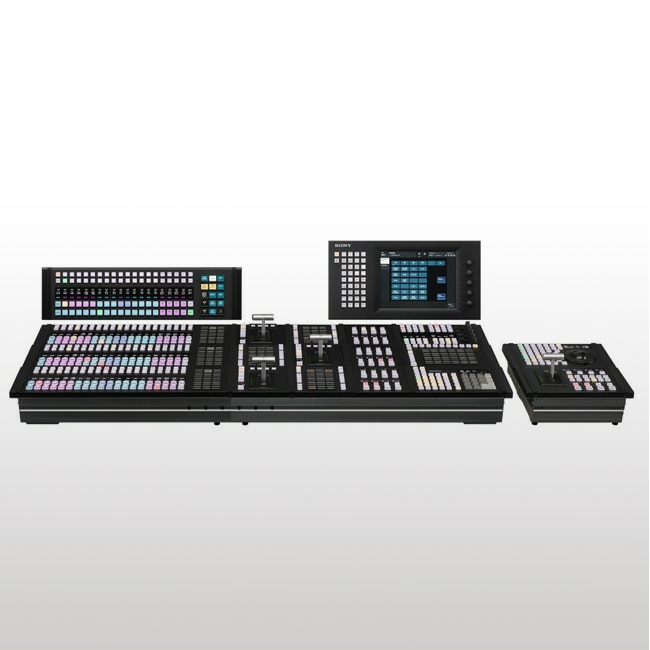 The XVS-7000 is easily upgradable to 4K production, allowing users to adapt the switcher as their workflows demand it. The processors of the XVS-7000 can be configured to suit the exact needs of each particular user in terms of operation, resolution, frame rate, number of I/Os, number of M/E banks, and more. All inputs and outputs can be assignable for 4K. The switcher allows up and down format conversion between 4K, HD and SD. 4K CG wipe is also available. 6 M/E functionality enables you to operate in large HD productions. All inputs can have format converter capability depending on the Input option configuration. An additional format converter outputs* and 2 multi-viewer outputs are also available. * The number of additional Format Converter outputs depends on format selection, from 4 to 16. With on-going pressures to find operational efficiencies within production workflows, the XVS-7000 supports resource sharing. Resource sharing provides a highly flexible and efficient production environment in which a single processor can be configured to perform multiple disparate tasks. Processor features such as inputs/outputs, mix-effect banks etc., can be allocated to different control panels either within or outside of the facility to provide the ultimate in scalable local and/or remote operations. The XVS-7000 switcher allows up/down/cross/level conversion between 4K, HD and SD using optional format converter board XKS-8460 as well as the 3G-SDI input board XKS-S8111 and 12G-SDI input board XKS-S8112. This options provide up and down conversion between 4K (2160p) and HD (1080p, 1080i), and between HD (1080p, 1080i and 720p) and SD (480i and 576i), cross-conversion between 4K 2SI and 4K SQD, and between 1080i and 720p, and level conversion between Level-A and Level-B at input and/or output. There are 8 keyers on an individual M/E cards that permit sophisticated layering techniques. Each keyer has its own auto-transition control separately from the main fader, which allows you to insert or remove keys on an individual basis with independent wipes, DME wipes, or dissolves. All full keyers with 2.5D resizer and chroma key are available in both 4K and HD, as well as additional Sub Keyers* with linear and luminance key in 4K. * Sub Keyer is another keyer which allows Linear and Lum Keying for 4K content. Using the advanced mix effect modes in the XVS-7000, one bank can be configured to control not only the main M/E output, but also a sub mix from that M/E. This Double M/E Mode is perfect for producing multiple outputs of the same event, for example "clean" and "dirty" feeds of a soccer match from within the same M/E. The resizer function allows you to create simple 2.5D DME effects with every keyer, with adjustable parameters such as Expand, Shrink, Locate, Rotate X, and Rotate Y. Fine key technology allows precise adjustment of key positions and border widths on a sub-pixel level within the range of 8H on all of these switchers. For additional power and user convenience, the XVS-7000 also features Sony's unique Processed Key mode and DME-link function. HD CG wipe is available, together with audio. The processor has an enhanced frame memory system, whereby instant recall of up to 5,000 frames (equivalent to an approx. 160 seconds movie) are available as source in HD. Additionally, more frames are directly available from the embedded large capacity SSD drive. The switcher provides a mix transition, rather than a hard cut on aux bus outputs. Primary colour correction is available on every aux output as standard as well as on inputs as option. Macros are extremely useful in live environments when time is critical and there is no tolerance for making operational mistakes. Using the FlexiPad module, or the 10-key Pad module, users can simply record operational sequences, then store and assign them to any desired button. Not only can macros record complex panel operational sequences, but menu operation can also be recorded as a macro. Macros can be edited either directly from the control panel or by using the touch-screen menu display. The DME processor can be integrated within XVS-7000 by installing up to two optional XKS-8470 boards (2-channels per board, 4-channels in total in HD) or up to two XKS-8475 boards (1-channel per board, 2-channels in total in 4K), or one XKS-8470 and one XKS-8475 in mixture. External VTRs, DDRs, P-bus and AMP devices can be controlled directly from the control panel of the XVS-8000 using MKS-X7700 or MKS-X2700 device control units via RS-422 and IP. The system supports the majority of servers using VDCP, Odetics or AMP remote control protocol. The XVS-7000 provides an intelligent and multi-functional tally system, which seamlessly integrates the switcher and router tally functions, via parallel tally ports, serial tally ports and IP port. 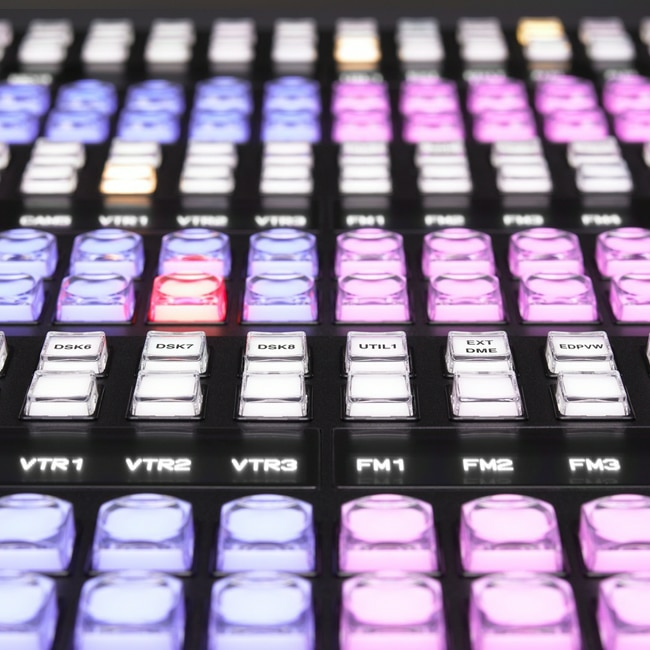 Multiple on-air and recording tallies can easily be programmed on the switcher system – so that even complex tally requirements are accommodated. Extra parallel tally ports can be obtained simply by adding tally boards to the MKS-X7700, or by using the MKS-X2700. The ICP-X7000 X-Panel offers very flexible panel configuration with a modular style design, OLED display, RGB XPT buttons and LCD button pad. The button layout is also re-designed. The X-Panel has a flexible mounting style for flat or curved mounting, or even for splitting into two positions. XPT FlexiPad allows function mapping customisation according to your operators’ preferences. With System Interface Unit (SIU) MKS-X2700 or MKS-X7700 as a device controller and Switcher Control Station (SCS) PWS-110SC1, you can operate the switcher as a single panel system or multi-panel system, greatly increasing your options. The XVS Series control panel can be partly operated remotely via Ethernet using the web application called Virtual Shot Box and Virtual Menu. With Virtual Shot Box, buttons and functions are customizable so you can assign macro, snapshot, shot box, XPT switching, and other functions as you wish, whereas the operational menus on the Menu Panel MKS-X7011 can be utilised in the Virtual Menu application by which the engineering operation can be free. These web applications can be used on any device with a web browser installed with Ethernet connection; this means that wireless operation is also supported using mobile devices. There are many possibilities using these applications. For example, you can use Virtual Shot Box with the control panel as a shot box or assist the main switcher operator from any location; in addition, the anchor or talent can use it by themselves, switching on-air images from a sports arena and more. Improves data management workflow and can reduce show set-up times, as well as making for data back-up and maintenance. Watch our video of the increased functionality and flexibility of our production switchers control panels. Take a closer look at our functional and workflow excellence; the XVS Series Switcher Systems. 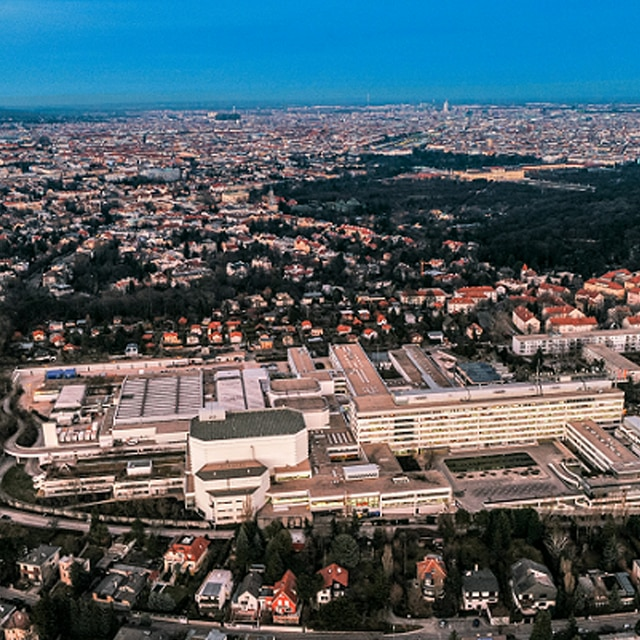 Basque media group chooses Sony video technology to renew its television production studios in San Sebastián and Bilbao.